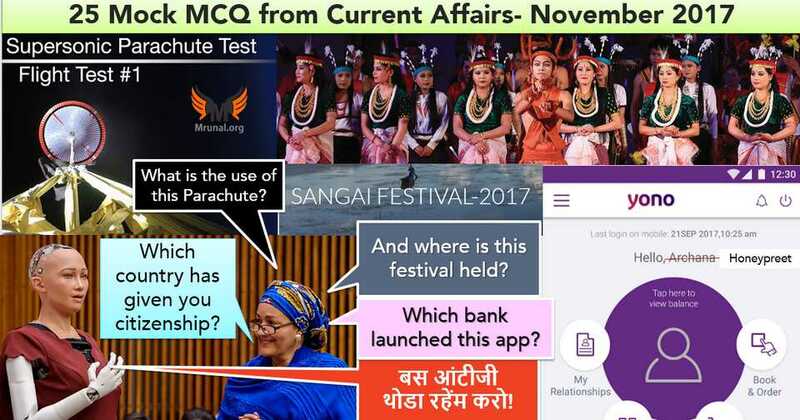 Following Test contains 25 questions based on Current Affairs news in November 2017. Total Time limit: 30 minutes; Total marks: 25 MCQ x 2m = 50m. Wrong answer Penalty: -0.67 Marks. Chief Economic Advisor Arvind Subramanian is the convener of this body. CBDT member Arbind Modi is the permanent special invitee to this body. DTC taskforce has been mandated workout the merger all the direct taxes of union and the state governments, just like GST has been done for indirect taxes. Q. What is the purpose of Injeti Srinivas committee setup in 2017, November? Ease of filling in GST returns. Implementation of 7th Pay commission in public serctor undertakings. Hint: For ease in GST return filling, government has setup Ajay Bhushan Pandey panel- who is also the chairman of GSTN network. Injeti is secretary of corporate affairs, and his committee will look after the I&B Code. Q. Which of the following bank has launched India’s first lifestyle digital banking service platform known as ‘YONO’ (You Need only one) in 2017, November? Hint: YONO App & website aim to tap customers from the e-commerce and lifestyle shopping segment. It’s launched not by a private commercial bank, nor by a public sector bank which is located in a small dingy corner. (खोपचेवाली सरकारी बेंक भी नहि है।). Q. What is the objective of UMANG App? Childless couples can apply for adoption. An app where user can donate cash, books and stationary to poor but meritorious students. Master app to provide over 200 government services such as passport services, land records, income tax, e-Post, RTO etc. Hint: UMANG’s full form is Unified Mobile App for New-age Governance. So you should be intelligent enough to decipher which option matches with the full form. Q. Which of the following is/are constitutional bodies? National commission for Backward Classes. Hint: 123rd Constitutional Amendment bill 2017 aims to grant constitutional status to NCBC. When it’s passed, the answer will change. Topic in news, because Government is likely to table it during winter session. There must not be more than six months gap between two sessions of Rajya Sabha. Lok Sabha must hold one session each during Budget, Monsoon and Winter. Hint: Constitution doesn’t give any labels such as ‘budget’, ‘lame duck session’, or that ‘winter is coming’. Rajya Sabha is a ‘continuous / permanent body’ but not because it sits for 24/7 but because of its membership retirement cycle. Topic is in controversy because Government seems to be delaying the winter session due to Gujarat election campaign. Q. In 2017 (November), a volcanic eruption occurred on Mount Agung in ___ country. Hint: Country with largest Muslim population in the world. Hint: Sangai deer is the state animal of Manipur, and Naga tribes wear headgear with hornbill beaks. Q. In Which of the places did Indian National Army (INA) hoisted Indian flag for the first time on Indian soil? Hint: Moirang, Manipur. Place is in news because President Koivind visited INA memorial there in 2017, November. He also inaugurated North East Development Summit in Imphal Manipur. It’s the fastest supersonic cruise missile of the world. It can launched from land, sea and air with ‘fire and forget’ principle. This missile system has been jointly developed by Russia, India and Israel. None of the given statements are correct. Q. What is the objective of NASA’s supersonic parachute, which was tested in November 2017? Hint: Advanced Supersonic Parachute Inflation Research Experiment (ASPIRE) will be used for landing a rover on Mars in 2020. Q. Which of the following country has granted citizenship to Sophia, an android robot in 2017? Hint: It’s the same country that granted “Sports” status to Yoga in 2017. Q. Who among the following will be the chief guest at the republic day parade of 2018? Hint: For the moment it is “none of the above”. Because while Modi has invited all 10 ASEAN leaders but so far only Singapore PM confirmed the participation. (as of 15th Nov 2017). When all confirm, then Answer will be “3”. Q. Robert Mugabe has resigned from the presidency of which country in 2017, November? None of the above because he has not resigned, he has been impeached. Hint: Country whose old name is Rhodesia, Capital is Harare, and once famous for its cricket team. Q. Justice Dalveer Bhandi has been appointed for the second term at ___ in 2017, November. National commission for human rights. Hint: International court that rules over disputes involving nations. ICJ punishes individuals involved in war-crimes, genocides and crimes against humanity. To be elected as an ICJ judge, a candidate needs majority in both UN General Assembly as well as the security council. ICJ is located at The Hague, Netherlands. Hint: ICJ hears cases between nations. ICC hears cases against war criminals. Guessmasters would also hint at word association- International criminal court (ICC) links with “Criminals”, but ICJ doesn’t, so first statement ought to be wrong so by elimination we are left with correct answer ‘2’. Q. India is a member of which of the following developmental banks? Hint: 1 or 4] In 2017, November, the Cabinet approved plan to join EBRD, but FinMin yet to finish the modalities. So, until then answer is 1, and once we formally join, the answer is 4. It’s to be held in Hyderabad, India. It’s theme is Women First, Prosperity for All. Hint: Both statements are correct. Hint: 2017 is special year for ASEAN as it completed 50 years, but the actual theme of this Manila summit was “Partnering for Change Engaging the World”. Q. In which of the following summits of 2017, was India given the full membership in Shanghai Cooperation Organization? India is not given a full membership of SCO yet. Hint: In 2017-SCO summit will be held @Sochi, Russia in November-December and Sushma Swaraj will participate. But it was in June month’s Asthana summit where India and Pak were given full membership. This summit is organized biannually. Hint: Theme is right but who can memorize such long theme name!? Guessmasters would try for ‘word association’ that since it’s an IT summit, it must be either in Bengaluru or Hyderabad, but nope, this annual summit was held in the Indian city which is most notorious for pollution, rapists and coaching mafia. No such thing happened in ASEAN summit 2017. Hint: Two of these countries are famous for their cricket teams. Q. Yoga has been given the status of a “Sport” in which of the following country in 2017, November? Hint: It’s the same country that gave highest civilian award -“King Abdulaziz Sash” to Modi in 2016. Q. Which of the following Indians has/have the distinction of scoring 50 or more centuries in International cricket? Hint: Gavaskar had exhausted age and attempt limit before he could succeed. Hint: BCCI is so money hungry they would parachute Indian cricket team in any tournament- even against Burkina Faso, BUT Ashes is played only between two countries, none of which are located in the African continent. Q. Who among the following has became Miss World 2017? Hint: Same state where Honeypreet and her ‘Papa’ are jailed. very useful question and also give hint , how to read newspaper. sir, you are great. one can forget the questions but not the hints. Very good initiative, please continue this initiative. Thanks a lot Mrunal Sir for continuing Current Affairs Articles. Thanks for the MCQs. Pls continue this format for upcoming months’ current affairs too. Also, your level of humour is entertaining… You’re Punny, Mrunal sir! Sir i request you please provide answer sheet also …thanks for such a nice content. the hints itself are the answers for the above questions. keep it up sir, i hope that you will make more MCQ. please increase frequency of your posts here.Do it on regular basis.It’s a request. where can if find all the mocks? What’s answer for the article 85 question? Thanks a lot ,sir! Please start such 25MCQ initiatives for every month. Thank you Sir for such a wonderful work. 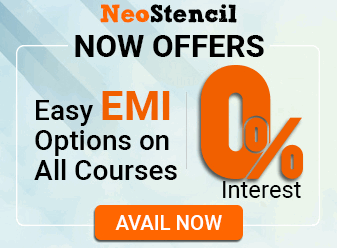 It is a great help for the serious aspirants. Sir, when will you come with your economics series..?